A two day Capacity Building Programme was organized by the Central Board of Education fo Social Science Teachers on 27th and 28th of July,2018 at The Delta Study, Fort Kochi. 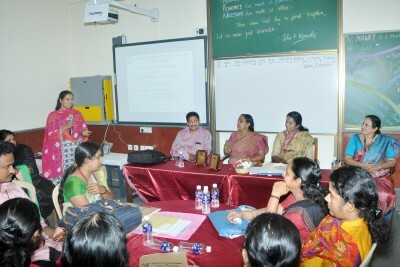 The resources persons where Dr. L. LakshmiHaridas, Principal, Al-Ameen Public School, Edapally and Mr. Suresh .M. Velayudhan, Principal, Shiva GiriVidyaneketan Senior Secondary School, Aluva. The main objective of the workshop was to improve teaching methods and focus on application based learning. Sixty-six teachers from the various renowned schools across the state attended the workshop.